R. Venkatesan—Venkat for short—is one of the three men who cofounded Marketplace Literacy Communities (MLC), which serves communities in Tamil Nadu, South India. MLC’s hub is Chennai, but the operations stretch as far south as villages two hours south of the city. The two other cofounders are S. Sudhakar and K. Vijayakumar. 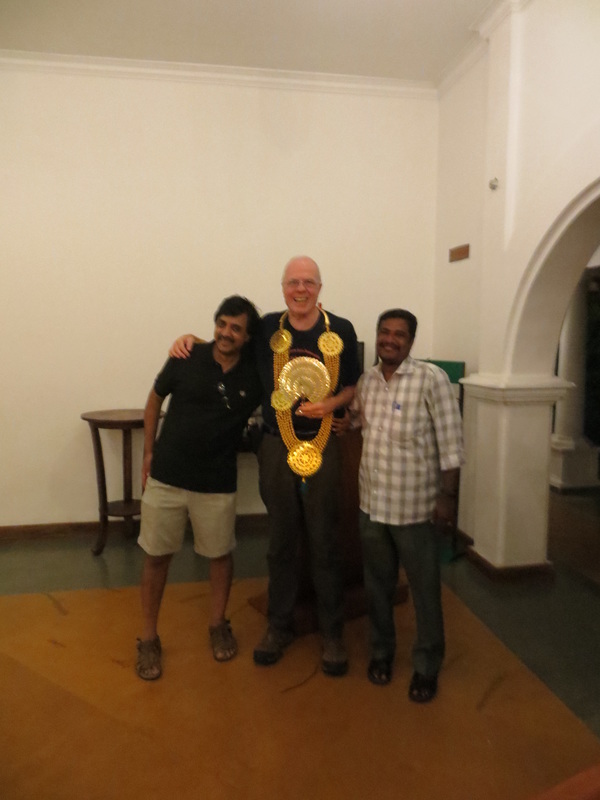 The three work tirelessly to educate those living in subsistence in South India. Venkat has experience as a social worker, an educator, and a research associate. And he is an ideal person to assist these women, because he comes from the same poor background that they do. He knows the hopelessness they face, the fears that haunt them, the slippery slope their lives are on. One unexpected surprise and their lives can receive a jolt from which many will never recover. Venkat was immersed in this type of life once, and through fortuitous opportunities that came his way and relationships that he became part of, he emerged from it. And now he spends his days helping others emerge from it as well. Venkat was born in 1974 in a single-room, 200-square-foot apartment in Mambalam, a residential and commercial district in the heart of what was then Madras and what is now Chennai. He was the fourth of five children born to his parents, who were from a low caste and whose mother, because of her gender and birth order, was intentionally scarred at birth and is partially blind as a result. The family shared a common toilet with 10 other families, and often struggled to have enough food. 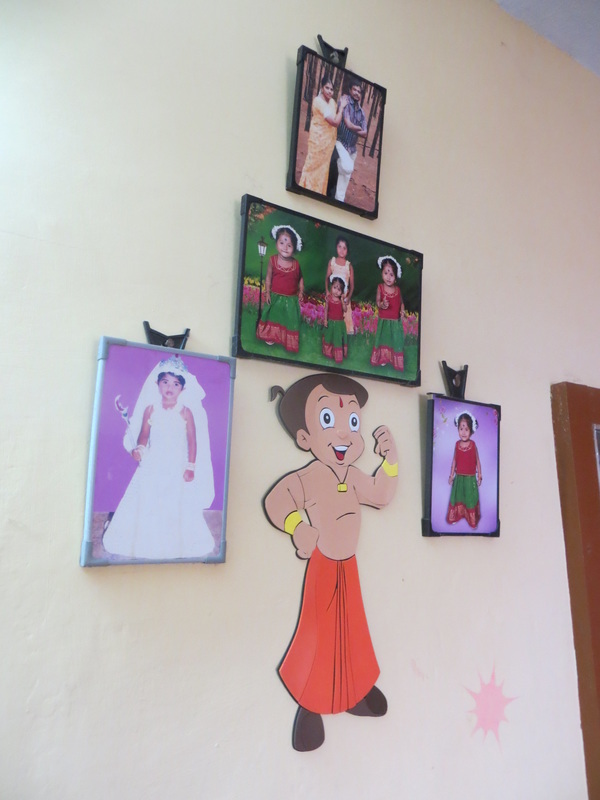 After third grade, his parents sent him to live with his aunt in Chennai. It was for the best, he says. His father was drinking more and more and they had no money. But a year later, his first break happened in the guise of his new teacher. He was also a barefoot student; he had no shoes or sandals to wear. But that didn’t hinder him in his studies. It was his desire to learn, his curiosity about subjects, that set him apart from his peers. 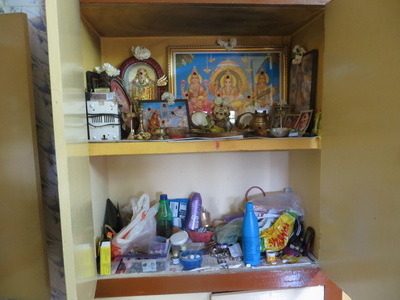 Most from as poor of a background as Venkat’s have no real vision for their lives; they are consumed with finding food for their bellies and sandals for their feet. That was not the way with Venkat. He didn’t know what he saw, but he imagined better things for himself. Better things than being a train porter and living for more than a decade without electricity and worrying every day about having enough food. That better way, he sensed, was through education. His natural curiosity, his bent for learning, would, he hoped, lead him to a better way of life. That smooth road to a better life through education did not pan out for Venkat. His father died when he was in ninth grade, and he had to quit school so he could find a job to help with finances at home. It was a devastating blow for Venkat, who was excelling in school under Mr. Selvarasan’s tutelage while living with his aunt. Hopes for his future were put on hold as he looked for work. He found one, delivering newspapers. He would rise at 4 a.m. each morning to deliver papers and bring in money for rent and food for his family. But after about a year of this, his mind returned to what he could do to build a brighter future for himself. Those hopes had just been put on hold, not abandoned. 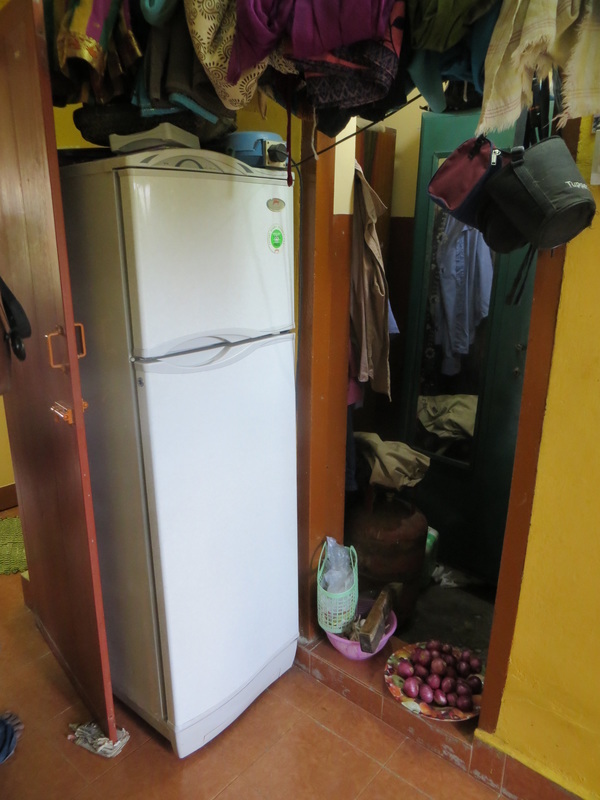 He was accepted into a diploma course to learn air conditioning and refrigeration skills. He worked in the mornings and studied for his correspondence course in the afternoons and evenings, with an eye toward being a self-employed air conditioning and refrigeration technician in the near future. But his near future took another turn for the worse. Two brothers died – one in an industrial accident, the other in a train accident. These deaths, besides the grief they brought, meant loss of income, and put an even greater burden on Venkat to earn money for his mother and two sisters. After the death of his brother in the industrial accident, he was forced to drop out of the diploma course to find a second job. “I felt bad for dropping out, because someone else could have been in my spot in the program,” he says. But he had no choice. So he found a job installing floors, and he worked two jobs for a year. He was 17 at this point, and had no great aspirations other than making money to keep food on his family’s table. As much as he loved education, as much as he wanted to better himself, it apparently was not meant to be. 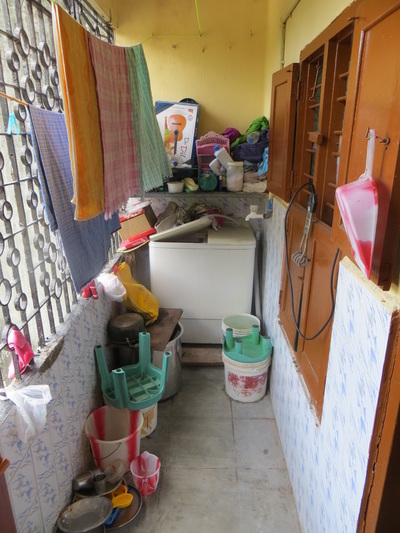 One day his flooring job took him to an NGO, Guild of Service, in Chennai. 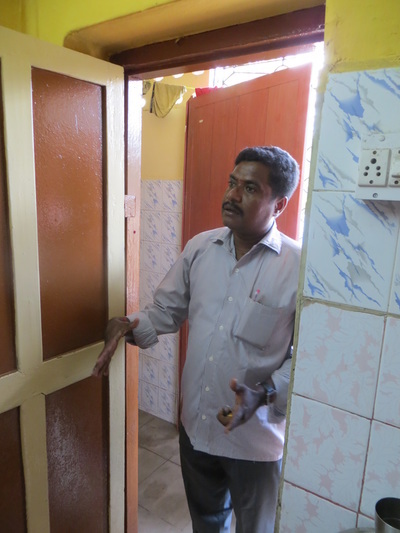 While he was prepping a floor before installing laminate flooring at the NGO, he was shocked to see Mr. Selvarasan walk past. His former grade-school teacher noticed him, stopped, and talked to him, catching up on what had happened to him since he left school to go to work. ​“How do you like installing floors?” Mr. Selvarasan asked. “I am glad for the work,” Venkat answered. 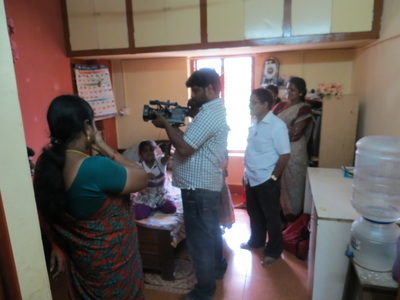 And so Venkat took a new job, this one at the Guild of Service, which offered programs centered on health, education, social and family welfare, and disability. Without hesitation, he took a job that paid him less than the flooring job, because he saw opportunity in it. And that opportunity was created by the relationship that he had forged with Mr. Selvarasan years earlier. It is hard to imagine someone living so close to the edge and having the courage to make that kind of decision – one that, in the immediate, would push him even closer to the edge. But it was a risk that paid off. 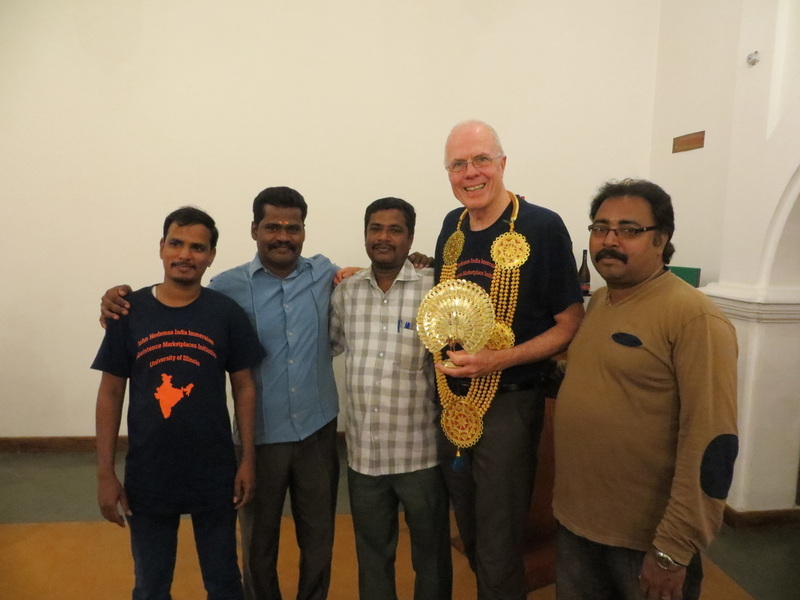 After a year, Mr. Selvarasan told Venkat that he wanted him to do one more thing for him. And so Venkat studied for the twelfth grade exams, which are India’s equivalent to a GED in the US. 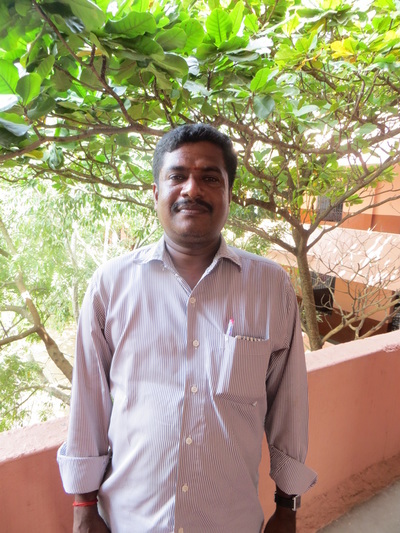 Mr. Selvarasan arranged Venkat’s work time to allow him to attend the required classes in a commerce course. 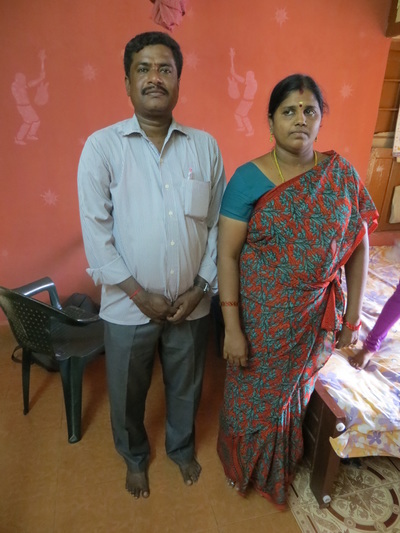 Venkat, at age 19, after he had lost all hope of continuing his education, took the twelfth grade exams. He had always done well in school, but because he was forced to drop out four years earlier, his math knowledge was not up to par, and he failed that portion of the exams. But he remained undeterred. He focused on improving his math skills, retook the exams six months later, and passed with ease. And so, at age 20, Venkat attained the diploma in the education that he so treasured, an education that would open up new opportunities for him to rise up out of poverty – remember, this is a young man who didn’t even have sandals to wear in school – and make a better life for himself and for those around him. 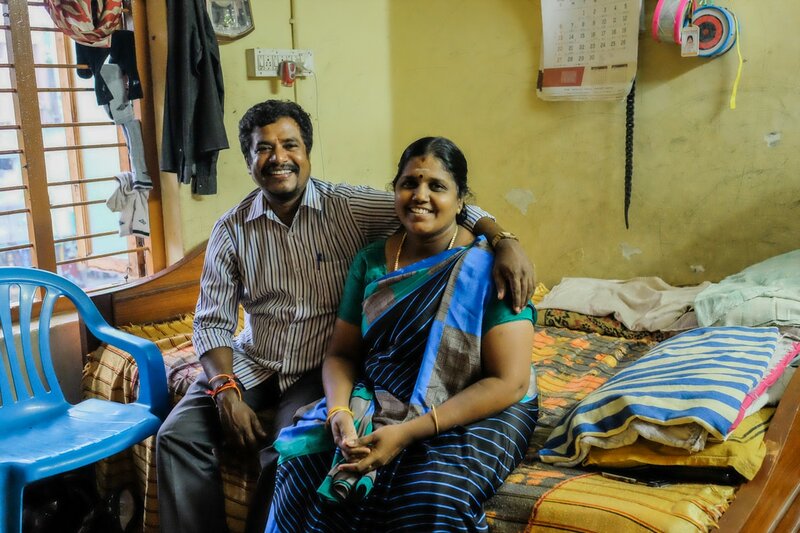 When Venkat was 22, Mr. Selvarasan again helped him obtain work, this time as a community organizer, working for the MGR Charitable Trust, responsible for education programs to improve people’s education, generate income, improve health, and gain access to loans. But he was not just handed the job; he went through his first interview process, and came out of it having earned the position after impressing his interviewers. He came out of the experience elated to have the job, particularly as it would allow him to work in an area dear to his heart: helping people. He had grown up experiencing first-hand the help that people in poverty need, and now he was able to extend that helping hand to others. This gave him deep satisfaction. But while his job satisfaction was at an all-time high, his salary was not; salaries for nonprofits are very low. Although Venkat’s job ratings were the highest possible, he needed to make more money. So he stopped delivering newspapers and started delivering milk, because he had heard you could make more money that way. He would get up before 2 a.m., seven days a week, and he would deliver milk until 6 a.m. If the milk spoiled before he delivered it – and it can spoil quickly in the oppressive South Indian heat – he took the loss. The following year, Venkat was interviewing applicants for teaching positions. One of the positions was awarded to a woman named Amul. A mere three months after working with his new colleague, he proposed to Amul, who happily said yes. 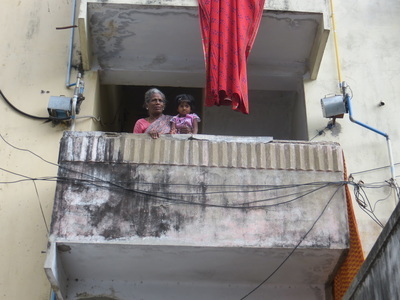 But her family did not share her happiness, because Venkat was from a different caste, one that was not as highly regarded as the caste of Amul’s family. Venkat, undeterred as ever, went to Amul’s older brother to plead his case (her father had died a few years earlier). Amul’s brother, perhaps impressed with Venkat’s determination, agreed to the proposal. And so Venkat spent a chaste two years working side by side by the woman he loved. In 1999, at the age of 25, Venkat and Amul were married, in a very unorthodox way, according to Indian custom: Venkat funded the marriage and insisted on no dowry. He did not want Amul’s money. He just wanted her. He could, as he told her brother, provide for her. Two years later, another relationship created the opportunity of a lifetime for Venkat. 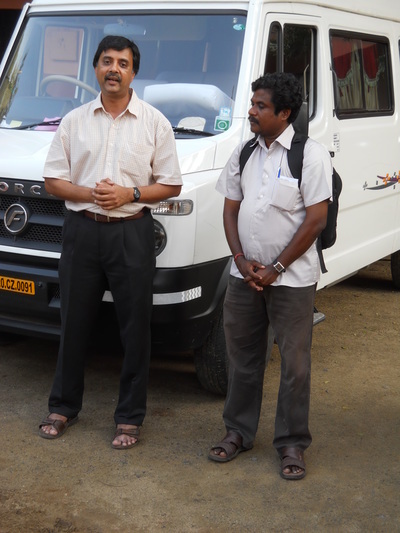 In December of 2001, Madhu Viswanathan, a professor in the College of Business at the University of Illinois and director of Marketplace Literacy Project, asked Venkat’s project manager at MGR Charitable Trust if he could recommend someone to help him with a research project to take place in India. The manager immediately suggested Venkat. Viswanathan filled Venkat in on the project plans, and Venkat began conducting interviews for Madhu. The connection between Venkat and Viswanathan was propitious for Venkat, because the NGO he was working for closed its doors on December 31, 2003. On January 1, 2004, Venkat began working for Viswanathan full-time in his newly-formed subsistence marketplaces initiative and marketplace literacy project. Take a moment to let that praise settle in. Realize that the praise is coming from a highly-honored, world-renowned university professor. And that the praise is directed to someone who lived most of his youth in a room without electricity, who was shunted off to an aunt because his parents had no money to raise him, who went barefoot to school. Who had to drop out of school at a tender age to support his family. Who never gave up, who looked for the good in the world just as he looked for the good in people, and who found the good in the world in two wise and compassionate benefactors, Mr. Selvarasan and Professor Viswanathan. Every life has a story to tell. And every story, be it through a book or a movie or real life, has several turning points. But with each of those turning points, things did get better. He found greater opportunities along the way, and started to make more money. Through his work with the Marketplace Literacy Project, he has moved, Viswanathan says, from subsistence level to at least lower middle class level. That’s a jump that most people in poverty don’t make. But it’s a jump that Venkat made, thanks to his persistence, his abilities, and his relationships with Selvarasan and with Viswanathan. 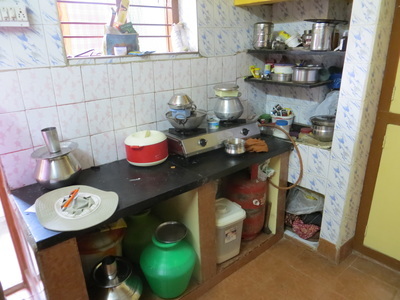 And more recently, Venkat completed his bachelor’s degree – an advanced degree that people starting at the subsistence level rarely even dream of, much less achieve. Venkat’s work with Viswanathan’s Subsistence Marketplaces Initiative and Marketplace Literacy Project (MLP) marked the first time Venkat was able to work one job to support a family. In 2005, after 17 years of either 4 a.m. alarms for delivering papers, or 2 a.m. alarms for delivering milk, he quit his milk delivery job to focus on his MLP work. Not only that, but with a loan from Viswanathan, Venkat was able to purchase a small home—more akin to an apartment. But it is his, and to own his own dwelling place, coming from his background and facing the struggles he did, is an amazing feat. But no less amazing than his next accomplishment: becoming a book author. He coauthored, with Viswanathan, Enabling Consumer and Entrepreneurial Literacy in Subsistence Marketplaces in 2008. He also coauthored a paper with Viswanathan in the International Journal of Educational Development. Not bad for someone raised in a 200-square foot apartment with no electricity and no books, even if there were electricity to read by. 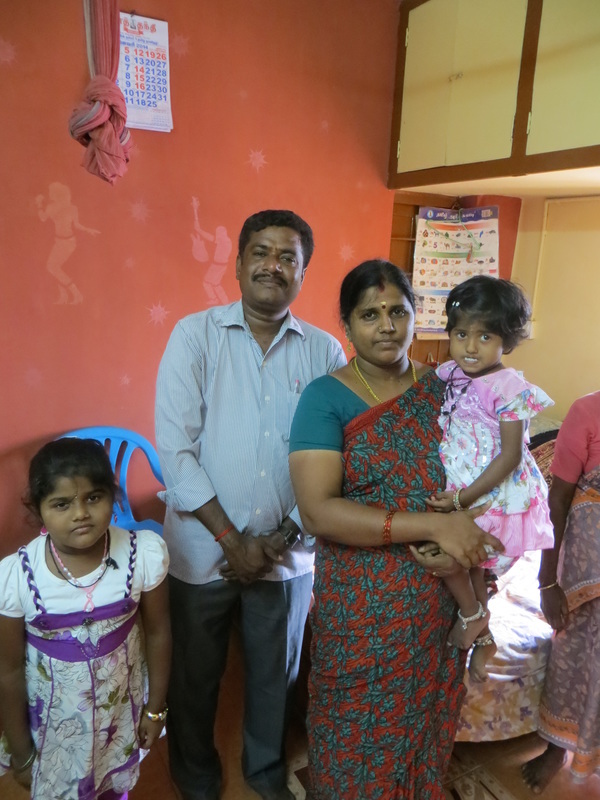 Venkat now lives in his home with his mother, his wife, and his two daughters. 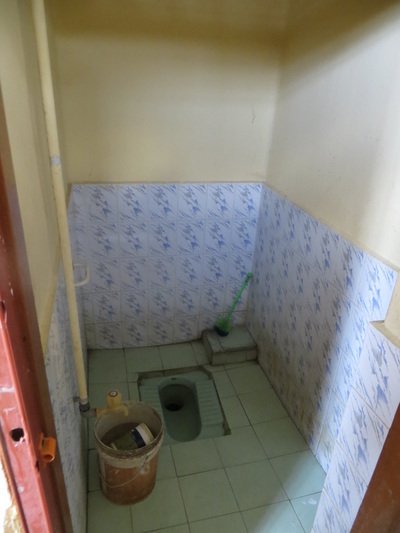 The house is small but nice and clean. There is one bed; the two daughters share it. Venkat, his wife, and his mother all sleep on the floor near the bed. His goal for his children: to get them a good education and for them to have good jobs, such as in the Indian Administrative Services or the Indian Foreign Service. 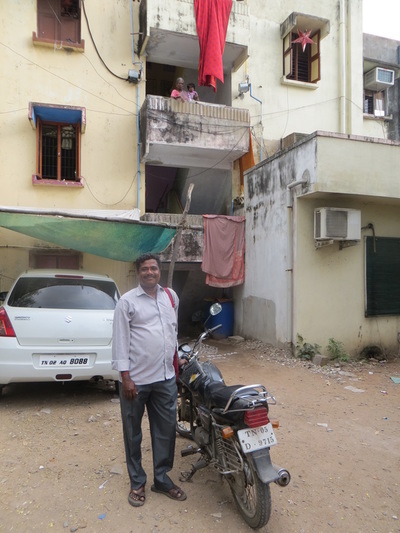 At one point in his life – after his father and two brothers had died and he had to quit school and find work to support his family – Venkat could not afford to look ahead. Now, he can. And because of his skills and persistence, he can look to a brighter future for his children. And you can bet he will stress that they take their education seriously. But Venkat has more than book smarts. He has people smarts, an emotional intelligence that helped him stand out to employers along the way. 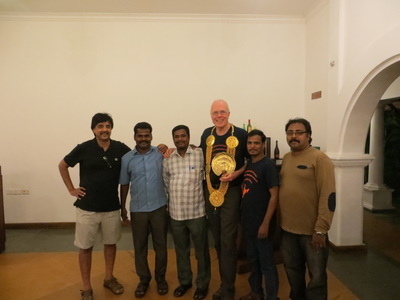 ​It is a leadership model he got from Mr. Selvarasan and Professor Madhu, he says. And he adds that the confidence shown in him as a leader, especially by Viswanathan, has played a critical role in his leadership development. 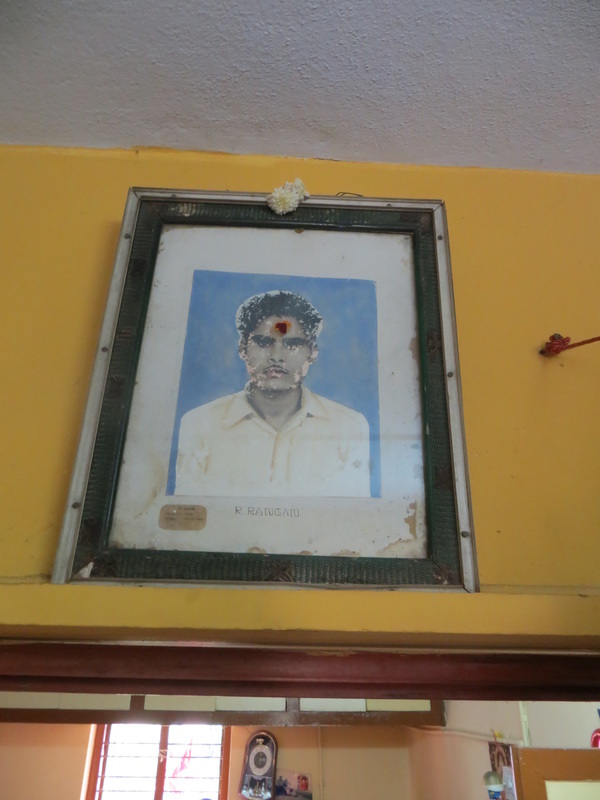 Think about this: if Venkat’s parents had a little more money, he would not have been sent to his aunt’s, and he would not have met Mr. Selvarasan. Which means he likely would not have gone back to take his twelfth grade exams. And he would not have found himself to be in position to be recommended to Viswanathan. 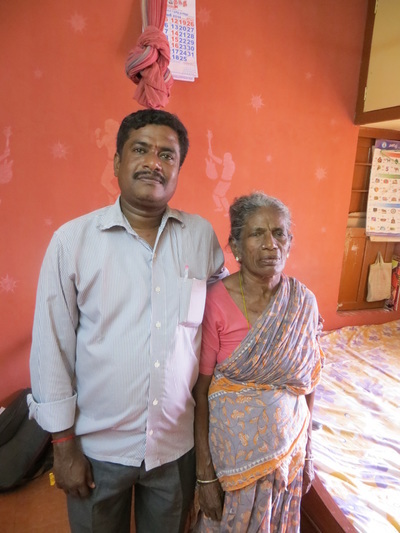 But thankfully for Venkat, and for the lives of all he now touches and helps, those relationships did happen, those opportunities did open up, and Venkat is now in a position to help those who, like him, needed help. ​Venkat has not forgotten where he came from, and he has not forgotten the people who are coming up behind him from the same place of poverty and limited opportunity. With the expansion of the marketplace literacy program, which he so ably co-manages along with Sudha and Viji, he is living out his life’s purpose of helping others in subsistence learn skills, start microbusinesses, gain self-esteem, and fashion lives for themselves in which they are working toward self-sufficiency and operate out of hope, not fear or apathy. In short, he is paying it forward—giving others the opportunity that Mr. Selvarasan and Madhu Viswanathan gave him. I have seen Venkat operate over the years, and he holds his employees strictly accountable for their work to accomplish the goals of the MLC, just as Madhu held him accountable. And just as Venkat learned the importance of relationships in his life, he works hard to build relationships with village leaders, teachers, officials, and villagers in the areas where the MLC is expanding. For example, one time Venkat contacted a group that provides support for people with prosthetics; he wanted to interview someone for one of Madhu’s projects. The group recommended Kaniappan, whose story appears earlier on these pages. 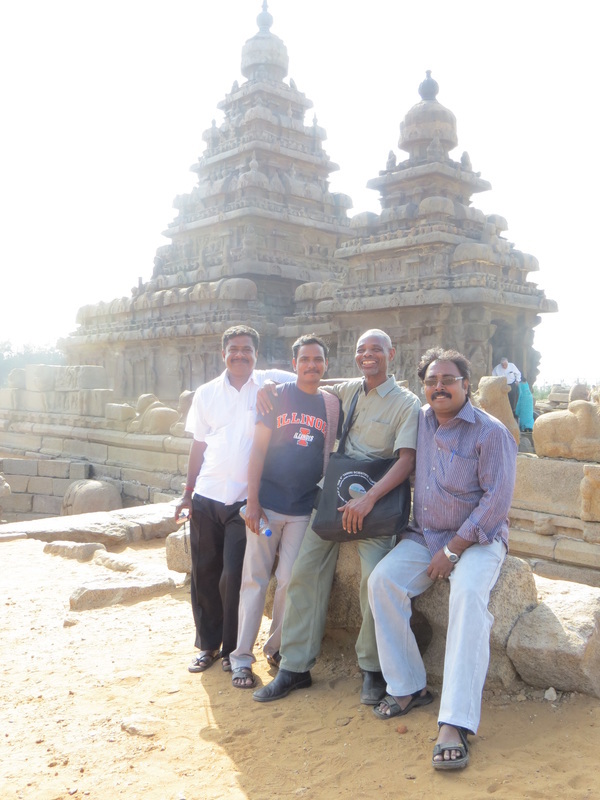 Venkat met Kaniappan, talked with him, and stayed in touch with him. 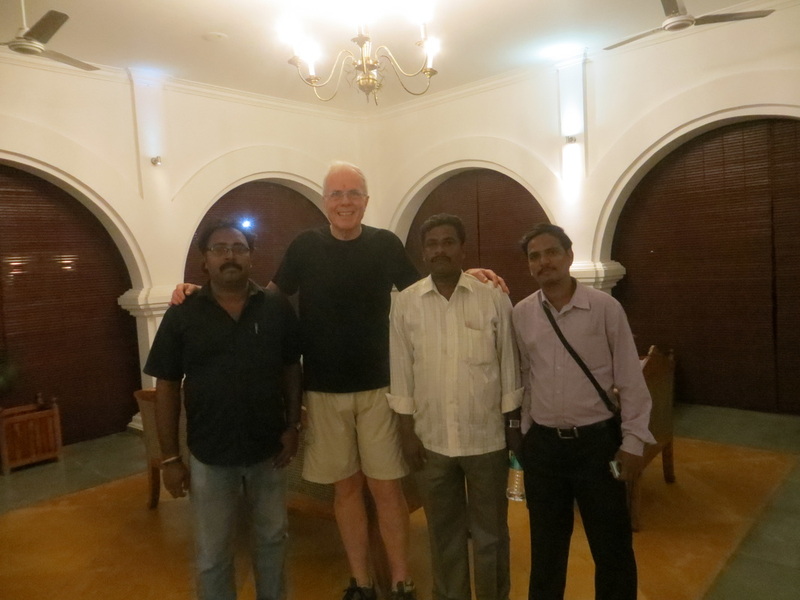 He continues to stay in touch to know how Kaniappan is doing; we have interviewed Kaniappan several times over the years. Venkat keeps a mental “rolodex” in his mind of the numerous people he has met over the years who would be good candidates for interviews, for research, for self-help groups, and so on. Even though the demand for the people in his network might be sporadic, he maintains a consistent relationship with them to keep the opportunities alive. He does this not only with MLC projects in mind, but because he has a genuine heart for helping people. He knows that being the lowest of the low financially does not mean that people are not to be valued and respected. Venkat first came to the US several years ago. It was his first time outside of India. He was greeted at O’Hare Airport in Chicago and whisked down to Champaign a few hours south. 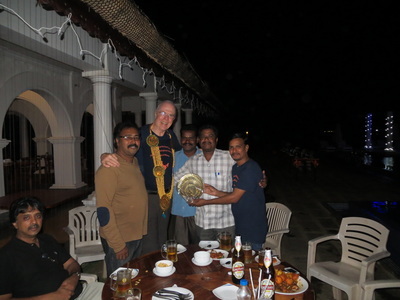 It was a strange new world for him, because he was used to greeting people and being the genial host and helping us foreigners make valuable connections with the people of Tamil Nadu, and now here he was being treated in that same way. He was nervous the whole way down to Champaign, because he was to present to students in Professor Viswanathan’s class, something he had not done before. He made his presentation, and to his shock, the students warmly applauded at the end. This greatly encouraged him. He has since undertaken to improve his presentation skills; he is always pressing forward to improve various skills. He has learned how to write training scripts, how to use images and technology in teaching, how to edit his messages to make them more powerful. He has produced Day in the Life videos that are viewed by students in the US and around the world. His command of the English language has greatly improved over the years. All of this started with an opportunity he was given. He seized it, ran with it, and is not looking back. Instead, he is using it to pay it forward to those around him who are in need.